Clinton, MD, is a picturesque area with many attractions for visitors and locals alike. Whether you are checking out the Surratt House Museum or strolling through the Rosaryville State Park, the thought of finding a dentist because of toothache is the last thing you want to worry about. It is vital, though, that you seek treatment. Clinton has many dentists and specialists available to treat you. 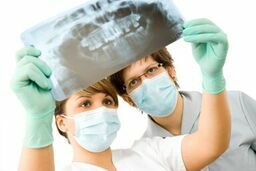 When you need to find a dentist in Clinton, MD, emergencydentistsusa.com is here. Our team has assembled a list of dentists and dental specialists in the area for you. All that is left to do is for you to look over the list, choose which dentist you wish to visit, and give them a call. Should you have an issue with seeing the list, or just want further assistance, call our toll free dentist finder hotline. Our team of trained associates is available to listen to your needs. We are here to help you find the dentist you require during your dental crisis. We go through all the nearby options and let you know what their hours are. From there, tell us which dentist you wish to visit and we can schedule your first appointment for you. We do suggest that you arrive at least 15 minutes early to the appointment and bring with you your ID, insurance card, and any copayment you might have. It is important to inform the dentist of any allergies or medications you are taking. While visiting a new area such as Clinton, MD., you might not know where to look for a new dentist or worry exactly what to do. Clinton has many dentists and dental specialists from general dentists to cosmetic providers, oral surgeons, pediatric specialists and more. Before seeking treatment with a specialist, consult with your general dentist first. He or she can determine if you need to seek treatment with a specialist and if so can refer you to one. Description: Beautiful Smiles dentistry is so happy to serve both children and adults. Our office is warm and hospitable. We offer a comprehensive assortment of services including general, cosmetic, and restorative services. Our office understands the important insurance and are happy to work with many different providers. We also have plans for patients without coverage. We look forward to serving you. Description: Fenton Family Dental is here to help you achieve your smile. Our office wants your visit to be as relaxed and stress free as possible. We offer convenient office hours and a wide assortment of services. We offer emergency dentistry, general dentistry, and more. We accept most insurances and have payment plans available. Our team is looking forward to seeing your smile. Description: The office of Audubon Dental Center prides ourselves on delivering affordable quality general and cosmetic dentistry services in a relaxed sap atmosphere. We care about your needs and want you to feel at ease. We offer a wide array of services from crowns, veneers, whitening, fillings, and much more. Our office accepts most insurances as well as PPO’s. We can not wait to serve you. A tooth pain can start at any moment and is the first sign of a problem. Any pain that lasts longer than an hour needs to be checked out as soon as possible. Catching a problem early can prevent further complications. If the pain you are having is the result of an accident, seek out emergency care through the nearest ER to rule out any other serious injuries. Before you visit your new dentist in Clinton, verify their license to be certain it is active. You can do this easily by visiting the Maryland State Dental Association website and searching for the dentist’s name.